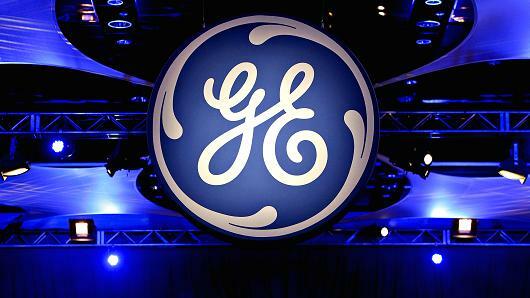 GE Capital Bank to sell its US online deposits to Goldman Sachs. General Electric Company recently announced that it has finally succeeded in completing the sales of its United States online deposit platform of GE Capital Bank. This encompasses the transfer of all the US deposits of the bank to Goldman Sachs Bank. Following the deal, which was sealed on August 13, 2015, the industrial giant transferred around $16 billion of the bank deposits. Goldman Sachs has vouched to render services to the present clientele. The bank deposits comprise of almost $8 billion of online Certificates of Deposit. Along with that, the online savings accounts and brokered Certificates of Deposit accumulate to $8 billion. Keith Sherin who the Chief Executive Officer and Chairman of GE Capital Bank stated that the sale of the deposits will eventually pace way for the company to completely evacuate its steps from the US banking system. This will be done once the company completes its US bank deed and cuts off the FDIV insurance. Both these things are likely to be completed by this week. He further showed satisfaction on the transfer of deposits to Goldman Sachs. The company is of the view that its clients are in safe hands where Goldman Sachs will offer high-end services to them. Mr. Sherin stated that the deposit sale deal is a step forward by the company so that they can deal with complications and reduce the size of GE Capital. It is also promoting the bank’s internal strategy to put an end to one of the two bank charters. This will eventually make the bank less important systematically. General Electric stated recently that it has filed a request for its SIFI rescission with the FSCOC – Financial Stability Oversight Council. According to the request, the company has demanded to request the conversion of GE Capital Bank into small and streamlined financial services company. This will eventually describe them as a “non-bank Systemically Important Financial Institution (SIFI)”. So, the request filing adds volume to the assumption that the bank has considerably minimized its risk portfolio and it is not comfortable with the financial system in the United States. The company also revealed a detailed account of the changes it has made since it became a SIFI in 2013. The company is aiming to become a high value industrial business commodity. Thus it is important for them to keep a fair grip of its financial verticals that are closely linked to its industrial business. The company has sealed contracts that are worth almost $166 billion in terms of ending net investment (ENI) from the time that the deposit sale strategy has been announced. Delta can afford to give its customers lesser prices on booking offline tickets. 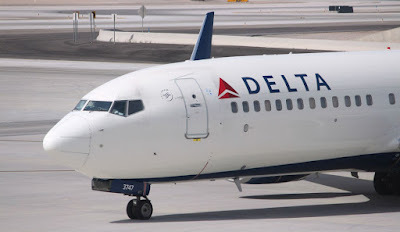 Delta Airlines have changed the rules and this time it is in the favor of the customers who can now purchase tickets and make booking without any extra charges. The air carrier can afford to this according to its first quarter earnings reports for this year not only this but it has been benefiting immensely because of the low jet fuel prices. Now the customers deserve a little bit of good news. The air traveling company along with many others in the market added extra fees for making booking offline, which has shockingly been put an end by Delta. The consumers of the United States can now buy and book tickets online without any extra payments and charges. They can now make booking through their phones and at the counter at ease the president of the company, Glen Hauenstein on Thursday. The fees and charges before for the customers was $35 if they purchased or made a booking at the airport other than the ticket counter and a $25 fees on tickets booked via phones. The president of Delta Airlines made a statement saying that the extra fees not being charged any longer is going to make things easy for the customers. The giant air carrier reported an income of $4.5 billion last year, which was more than the year before by 29% thanks to the low jet prices. Delta believed that charging customers extra for booking tickets without interactions would encourage them to come and interact with the employees of the company directly more often. Thankfully, the airline has finally made the decision to not do that to the customers. The company did not reveal its earnings through these extra charges but it is safe to say that it must have made hundreds of dollars. The reservation fees was imposed by Delta airlines in 1999 and it has been playing with the fees since then. Extra fees were added to tickets in 2005 that were bought through the phone or at the airport and was initially only $5, which later became $25 and $35 respectively. Many airlines did the same and started to justify this move by saying that the fees was to cover the extra costs for hiring employees at the call center. A spokesman for the company said that the uplift on extra fees is done so that customers can be awarded the facility to customize their experience free of charge as much as they like. 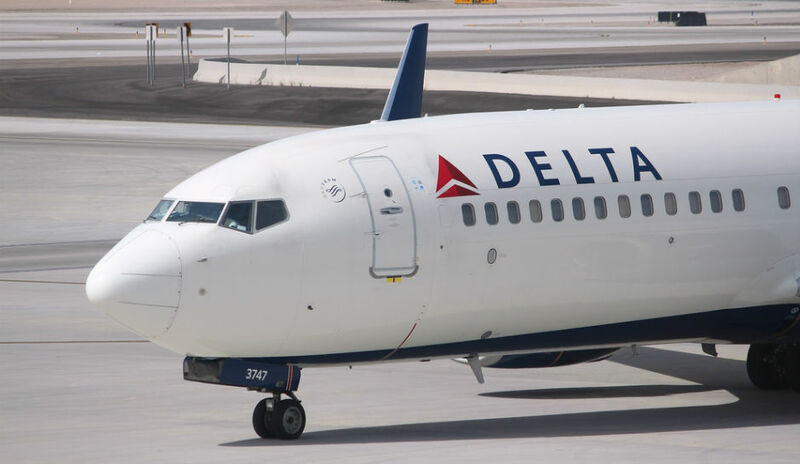 Consumers no longer have to worry about paying extra no matter where they get or book their tickets from which is good news for them but only time will tell if it is a smart move for the business of Delta or not. 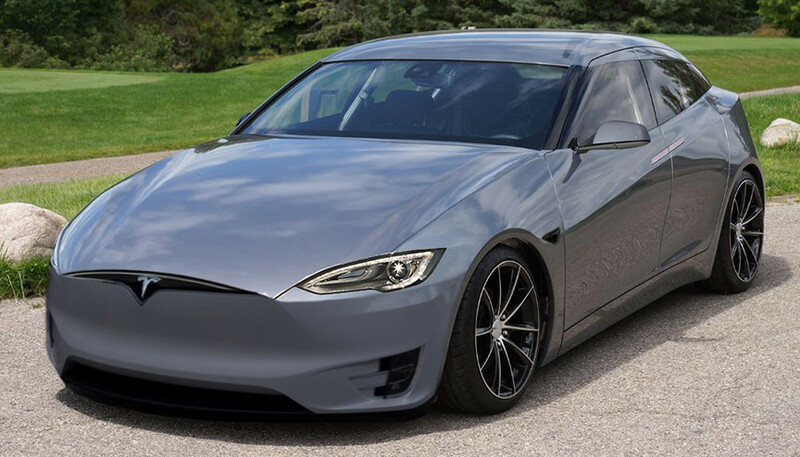 Will Tesla Model 3 Surface On Time? Tesla Model 3 deliveries might suffer due to high pre-order influx. As per the recent Model 3 update, surfaced by Tesla Motors Inc., the pre-orders are almost hitting 400,000 benchmark. In just a week’s time since its launch, the company succeeded in garnering 325,000 preorders which accumulate to $325 million in the form of deposits and around $14 billion as potential sales. As per the executive, coming up with a huge volume of vehicles after a time span of two years is extremely important, attainable and necessary. But it needs to be noted here that Tesla has a bad habit of promising more than it can actually deliver. The company is in turmoil since it is striving to achieve stable production process for Model X- its luxury crossover SUV. For the same reason they also missed their delivery guidance for the first quarter. Lastly, they are also facing pressure to cater to the huge pre-orders of Model X putting their execution abilities on a test. If one starts to translate the long term business strategy of Tesla Motors, the electric car giant is striving to reign over mass market via its cheaper cars. Along with that, they wish to exploit the high end market through Model X and Model S luxury cars. The company never wished to become the niche player the EV sector. So they are now coming up with cheaper cars so that they can penetrate amongst the masses. Elon Musk, the Chief Executive Officer at Tesla is thankful to the consumers of Model S and Model X since their investment has given them enough strength to come up with Model 3. Model 3 is likely to be a game changer for them since it is not a conventional car but a long term sustainability plan for TSLA. The number of pre-orders is quite high, so many analysts are of the view that the company succumb to the number of pre-orders. Certainly, the automotive giant needs to push its production capacity supply chain delivery mechanism throughout the globe and add new production plants to its portfolio. The company can come up with a production plant in China so that it can easily cater to Asians. Likewise, it can also establish one in Europe. Both these regions are a great start point since it is already coming up with charging stations there. The company needs to deliver on schedule to gain the consumer trust. Deliveries have not been the forte of Tesla but they need to overcome their weakness. 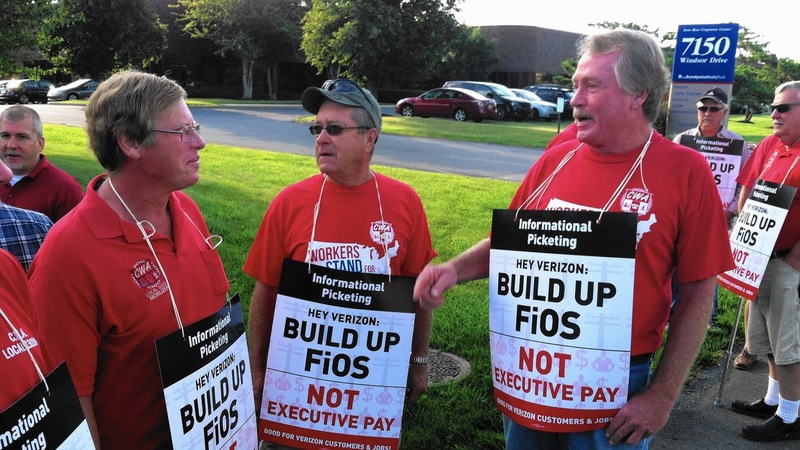 Verizon Is struggling to negotiate with its union workers. Irrespective of the efforts made by Verizon Communications, the company’s worker union known as CWA and IBEW has called for a strike recently. The wireless carrier is trying hard to negotiate with the union that voice for almost 40,000 employees via the Federal Mediation and Conciliation Services. However, the union does not seem interested in negotiating with them. The company was anticipating a strike call initially after which it took several measures to retain its operations even when a strike takes place. For the past 10 months, the workers union and management have been discussing the terms. However, no viable conclusion has been reached as of yet. The union workers have finally decided to go on a strike today. Verizon Communications Inc. has stated that it is ready to negotiate with the FMCS if they are willing to extend the strike call. The union has now made its decision, thus it will now come up with a way to implement the strike readiness mechanism. The company is planning regarding a strike since 2015 as it gears up its non-union workers to take charge of the operations in case the union workers go on a strike. In compliance to the company’s contingency plan, they have already trained thousands of its workers to replace the union workers in case a strike takes place. They have also worked on a contingency as per which they will now assign workers to various regions throughout the country to replace the union workers. The tasks which will now be taken by the non-union workers encompass repair and maintenance of copper networks, customer service, and internal and external network plant management. The training of employees for this purpose was conducted mostly at the company’s training center situated in Northern Virginia. This training center is devoted to train the company’s non-union workers in case of an emergency situation. Marc Reed, the chief administrative officer at VZ mentioned in a press release that the company is not happy with the strike and regrets the decision made by the union workers. This move has impacts on all of Verizon employees. Mr. Reed believes that by calling a strike, the employees will not be able to solve the problem in hand. Moreover, it does not even benefit both the parties. The wireless network carrier has vouched to offer its consumers with smooth services even in the strike period. Sadly it is difficult to implement and easier to make claims since the implementation of non-union workers to takeover is not a piece of cake. The non-union workers do not have specialties in the domain they have been assigned which is resulting in a lag. Both the parties need to negotiate so that the inefficacies can be dealt with easily. Pfizer is being accused for misleading its shareholders regarding its pain relieving medications, Bextra and Celebrex. Circumstances have not been easy for Pfizer; first, its goals are shattered after the US Treasury notifies it of the changes in its policies and rules in order to stop corporate inversions. This stopped and pushed the company from continuing the merger that it had planned for more than a year with Allergen Plc. This would have changed its home address to Ireland and shorten its tax bills to 18% rather than the 25% it pays to the United States. It looks like the pressures did not end there; now it is facing a lawsuit filed by its shareholders that are accusing the medicinal giant of misleading them regarding its pain relief medications, Bextra and Celebrex. Shareholders of Pfizer Inc. claim that they were misled about the safety of Bextra and Celebrex with a vote of 3-0. The US Judge Laura Taylor Swain might be dismissing this lawsuit after stopping a former law school Dean from testifying for the shareholders of the damages these drugs impose. It looks like the government might still be on the US Drug maker’s side. This is not the first lawsuit this month that has been dismissed by the court; another case regarding Zoloft was dismissed, regarding birth defects. The dismissal of the Zoloft case was done because of no scientific evidence for the accusations, according to the Judge handling the case. The US officials might sympathize with the company after it had to walk away from the $160 billion merger. The dismissals are for valid reasons, according to the Judge Swain who made the incorrect conclusion that G.D Searle & CO and Pharmacia Corp did not find the company liable for statements. This lawsuit has been going on since 2004 and includes shareholders that bought the stocks of the pharmaceutical company from October 31 in 2000 till October 19, 2005. 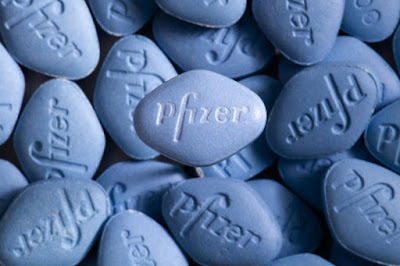 Pfizer even made a statement regarding this issue that said that it did communicate well and accurately with scientific information regarding tis medicines to its shareholders and investors, even the public and consumers at all times necessary and will keep on defending itself in this lawsuit. When the lawsuit was filed, Pfizer even decided to pull out Bextra from the market of the United States in April and even made an agreement to pay $2.3 billion as a settlement in the September of 2009 to the US Department of Justice. Shareholders on the other hand kept on claiming that the company kept the tests results hidden that took place in 1998 and mislead them about the risks that these drugs were imposing. The company is shifting the production of lower margin vehicles in the region where the production cost is lower. Ford has recently announced about its expansion plan in Mexico. The company is likely to open a small car-assembly plant in the region. Additionally, it has also declared about its probable investment in South Africa worth $170 million. Ford’s decision of the investment in Mexico – which worth around $1.6 billion – is likely to create 2,800 additional direct jobs in the region by 2020 while the construction on the proposed plant will commence in summer. The reason behind the setup of the small car plant San Louis Potosi State is not a complex one; it will elevate Ford’s competitiveness and help the company to raise its small cars profit margins. This is something that isn’t easily achievable in the U.S., but it doesn’t mean that through this initiative, the jobs in the U.S. will be at stake. Although, the move has the fair share of criticism and opposition, the existence of the company in Mexico is not new. It has been operating in the region since 1925. According to it, the country stood at the fourth position of global consumers’ largest manufacturing site. United States, China, and Germany have the positions ahead of the country. In addition to the United States, the vehicles manufactured in the region are delivered to Paraguay, Chile, Brazil, Peru, Canada, South Korea, Columbia, Argentina, Uruguay, Bolivia, and China. Moreover, Mexico can play a pivotal role for the company’s compact car export strategy. 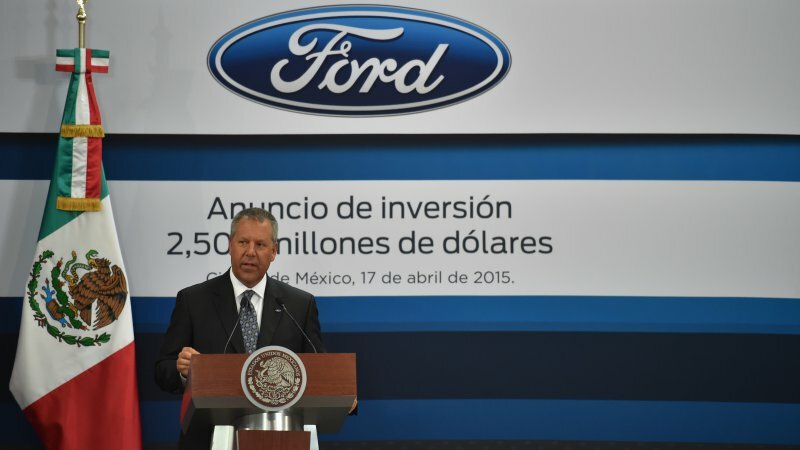 Ford’s investment – worth $1.6 billion – in Mexico is a part of one big plan of the company. The company, in U.S. Ford facilities, has already invested around $10.2 billion. In addition to it, the company has made an investment of $2.7 billion in Spain, $4.8 billion in China, and $2.4 billion in Germany, under the umbrella of its One Ford product plan. This move is likely to be beneficial for the investors as the automobile manufacturer looks forward in boosting its production capacity in the United States in order to create the products on which it can adjust higher margins such as F-Series trucks, SUVs, Bronco, or Ranger. Therefore, by moving vehicles for the production to the area that costs lower is a good cost-benefit analysis of the company. Apart from the investment in Mexico, the company has also taken itself in South Africa worth $170 million. The step is being taken to build all-new Everest SUV. Through the initiative, around 1,200 new jobs will be opened up in the area while simultaneously enhancing the Everest’s competitiveness. Facebook Live Videos can be the next big thing for the company. Facebook Inc. made an announcement that its live streaming video service will surface to all its users who have their latest application installed. 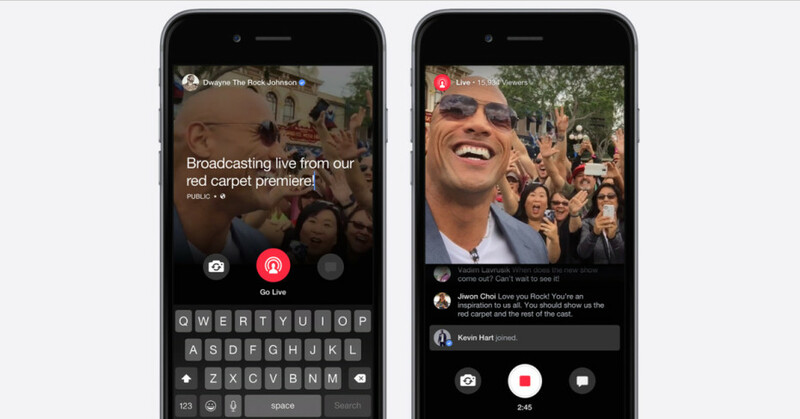 Facebook Live surfaced via the Mentions app where the launch was limited to a niche audience (public figures). The company has now expanded the user base encompassing iOS and Android users of Facebook. As per the social media giant, the feedback it has gotten has from consumers has encouraged it to surface the app for the masses. Facebook has come up with the functionality of allowing Events and Facebook Groups to go live. All those who have similar interests can access live videos of the recent events in case they miss out on them. The option can act as a great platform for events and startups that need such publicity and limelight to pull off a successful event. It is a common observation that Facebook users’ makes events and groups for birthdays, thus all those who are not attending can see the action live. Moreover, fitness groups will also benefit as they can now broadcast classes for all those who cannot show up. The company seems to be devoted to this new platform thus it is also making it interactive and immersive by adding Replay comments, Live Reactions, and Filters. The Live Reactions will be similar to Facebook’s recent feature “Reactions” where user can express their Love, Haha, Sad, Wow or Angry on the live streams. Since every reaction acquired matters thus the company will make use of the user’s profile picture along with an animation so that broadcasters exactly know how one is feeling. Apart from making use of Live Filters, the broadcasters can draw or doodle on the videos. The tech giant wants as many users as possible to watch live. Thus, they have also added an option to help those users who wish to invite their loved ones to a broadcast. A push notification can be sent through the help of the invite icon to get friends onboard without the need to close the broadcast video. The mobile app also has another tab that has a video icon placed devoted to live videos. This tab comprises of all the broadcasters that are popular along with all those subscribed by the users. The tab can also be used to go through non-live videos which clearly highlight the company’s devotion to video based content. On the desktop version of Fb, Live Map has also been added that particularly caters to the visual representation of live broadcasts. In almost 60 countries, users have been given the leverage to initiate lice video videos. Having a map present is a smart and creative way to gauge the various areas around the globe that are having live broadcasts at any instance. The new metrics can be used by all those pages who share live videos. Hence, Live videos can be the next big thing for Facebook who is striving hard and trying out different means to increase video viewership on its platform.